The State of Alaska has, by statute, created an annual art contest. The winning entry is used on the Official Alaska State Medallion. This medallion has become prized as a collectible. One must wonder why other governments have not modeled similar contests and the ensuing medallions. It is a great way for a government to generate some income other than taxation, and has little risk of bringing a loss about. This is a wonderful way for a government to support the arts, and the minting of the annual medallions that evolves makes some interesting promotional pieces for the region. In addition, if the minting is done within the state, or other governmental division where states do not exist, there is employment to some residents that will result from the minting and sale of the commemorative pieces. Although these medallions are not technically coins, there is an appeal to coin collectors in that there is an official decree made by an entity of authority. There are many positives with no apparent negative, so I cannot understand why this is not emulated by other governing units. The Official Alaska State Medallions are authorized by state statute 44.09.017. This statute provides for an art contest to be held annually, open to residents of Alaska. The winning design is to be used only to produce the medallions in a quantity to meet the demand of that year, and no more shall be made. The design must pertain to Alaska to be accepted in the contest. One side of every Official Alaska State Medallion must bear the seal of the State of Alaska. This side does not change annually. The image used as the introduction image belongs to Black Spaniel Gallery. The design must be pertinent to Alaska. 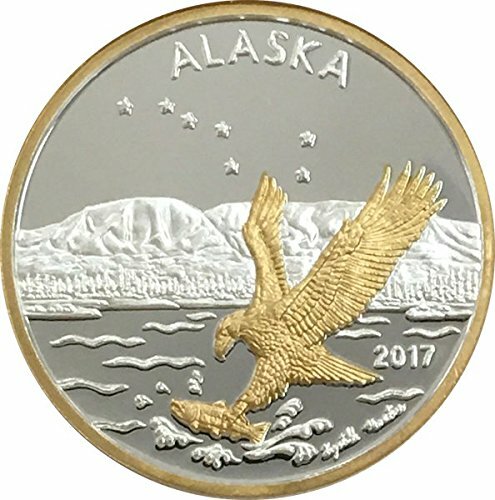 Since the first medallion the winning designs have always been images of wildlife native to Alaska or to the waters off Alaska. The 2016 design, Wolf in Front of Denali, includes both wildlife and a mountain making it a particularly beautiful design. The other designs, starting with the first year of 1992, are shown below. Notice that once an animal is used it remains available to be used in the future. The proof Official Alaska State Medallion is usually minted in low numbers, and many older medallions command a high value. The medallions are minted in fine silver, and in pure gold. They are also minted in fine silver gilded with gold selectively, making for some strikingly beautiful pieces. In 2016 bronze medallions are also being minted for the first time. The medallions come in a multitude of sizes, and some sizes like the two ounce silver medallions have had extremely low mintages. One word of caution is needed. The proof medallions are the prized collectibles, but a proof-like medallion is also available at a lower price. These can be distinguished by the edge. A proof medallion has a plain edges with the serial number engraved into it. The proof-like medallions have reeded edges, which is a series of high and low lines, like the old silver coinage of the United States, and carried to modern times in the quarters and dimes. As with coins, a medallion missing its original box or its Certificate of Authenticity may have a reduction in what collectors are willing to pay. The Official Alaska state Medallions are limited to the demand during the year of issue. However, they are made by the Alaska Mint, which is a private mint in Alaska. 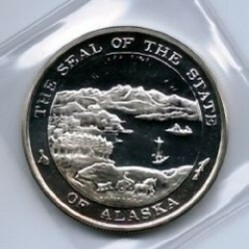 The same animals often appear in other medallions minted by the Alaska Mint. 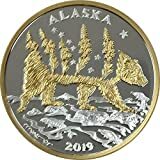 As long as the same design is not used these are allowed, but collectors of the Official Alaska State Medallions are unlikely to pay a high premium for them. 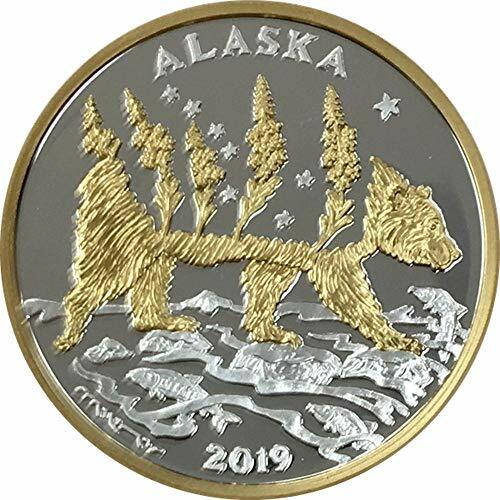 The other series minted by the Alaska Mint that may have some collectability above the generic medallions are the Iditarod medallions, but I choose to not include them here because I am not convinced the dogs should have to endure the race. Very interesting! You mentioned many positives and no apparent negative. We have similar situation in Slovenia. Our coins are relatively rare and unknown, but we could make them an alternative to Vatican's collections. Unfortunately there is no vision behind the program and the distributor even closed the list of subscribers which guaranteed each subscriber to have 30 days, when new coin waits for him, so with each new issue collectors risk to stay without a coin. I think we all need more of entrepreneurial spirit in this area! The rules of the contest do not specify wildlife, but it has been the recurring theme. blackspanielgallery, This is a charming way to track what wildlife abounds or needs protection in Alaska. It's interesting that in the middle of all that specificity, only one is general: Alaskan wildlife. There is a site that has all of the images, but I did not have the rights to copy from it. The one shown is the Alaska Seal side of the Puffins, medallion, which my small coin Ebay store sold years ago. I kept the image. There are older ones that come to about $300, but the newer ones are not quite so high. I would look to the source, the Alaska Mint. Still, they are high. Mintage in any given year varies, and is set by demand. Only once, I believe, has the mintage exceeded 10,000, and many are much fewer. 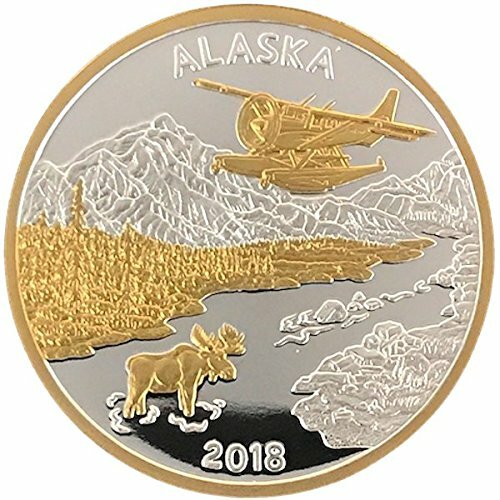 Currently the Alaska Mint is selling the proof-like coins, and last week the price was $39 for the silver one ounce ones. I believe that is the current price, but I was really checking on the 2016 design for the article. I think it's a wonderful initiative. I see the coins are rather expensive (close to $100). How many coins do they mint in any given year? I am surprised at how few some of these were made. I once read some two ounce silver medallions had less than twenty made. I would think a country would not enter into such a minting since it could easily design a real coin, but in your part of the world a county might take up the idea. What a lovely article and excellent idea. I like how the coin has to pertain to Alaska ; that makes it more meaningful.